Some good news at last after a quiet (but productive summer). My 1000 word flash piece, "The Chaotic Butterfly" has been accepted by Bizarro Central and will be appearing on their Flash Fiction Friday slot on the Bizarro website on Friday 3rd November. A Halloween-themed story, "The Most Dangerous Game," will be appearing on the blog of the Worcester Poet Laureate on 1st November as part of this year's Halloween celebrations. This is somewhat notable as it is a story that was originally written to a theme (something I never do) and specifically for performance at the Worcester 42 Spoken Word event (again something I only rarely do). 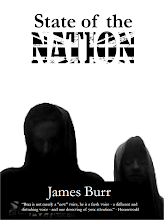 It went down well there so it's good to see it appear somewhere even though it my very first attempt at a more traditional Horror-type story (with demons and spirits etc). First time for everything! 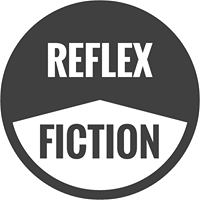 My 300 word flash piece "Invisible" will be appearing on the Reflex Magazine website on Monday 6th November. It wasn't longlisted for the Reflex flash fiction prize unfortunately, but they wanted to publish it as part of a "best of the rest" series, which is fine by me. Finally, a 1000 flash piece called "Humour Chip tm" may be appearing in a limited edition pamphlet, although nothing has been set in stone as yet so I will keep you updated as more news slips out. I'll be tweeting out reminders as the stories appear.